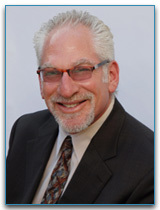 Robert Sniderman, Ph.D., SPHR, CRC, CCM is President of The Entrepreneurial Edge, Inc. and HRFocus USA. Dr. Sniderman is renowned in the field of human resources as an executive and owner’s coach, facilitator of business groups, consultant in organizational change management, human resource management, on-line recruitment/selection/retention, teambuilding, training and development, executive development and strategic planning and change. Dr. Sniderman is an accomplished speaker, published researcher and teacher at the University level. He is the author of Considering Generations: A Generational Primer (published in May 2003) and is a regular speaker at national conventions and conferences on such topics including generational issues in associations and business; recruitment, selection assessment and retention programs, and other human resource management subjects; organizational change; ethical business practices; disability management and integrated return to work programs. Dr. Sniderman continues to be involved in the development and design of online applicant tracking, recruitment, selection and retention programs for various industries as well as both non-profit and for-profit clients. He is particularly expert and passionate about his work in disability management and issues involving disability in the workplace. Dr. Sniderman earned his Doctorate degree in Organizational Development, and has been providing services to the business and human resources community since 1976. He is a long-standing member of the Society for Human Resource Management and Consultants Forum.